Is it Diplomat or Diplomate? Is it Diplomat or Diplomatist? Are you confused ? We have solution for your confusion. 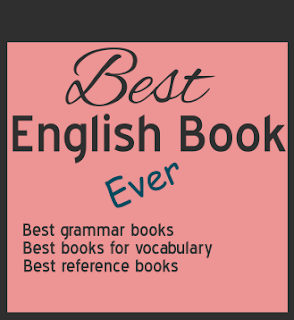 In this post we will learn about these three words in detail. Diplomat is a person who has skill in dealing with other people; a diplomat represents his or her country's government in a foreign country. A diplomat is representative of a government, whose work is to deal with representatives of foreign governments, because a diplomat has good skill in negotiation, good in manners, good in politics. India has the best diplomat in world. Diplomats should meet first before meeting top leaders. Diplomate is a person who has a diploma. We need a lot of diplomates. He was certified a diplomate of the American Boards of Internal Medicine. The word Diplomatist is used for those who are specialist in diplomacy. A diplomat works under a diplomatist means a diplomat is less of diplomatist. a person who is astute and tactful in any negotiation or relationship. 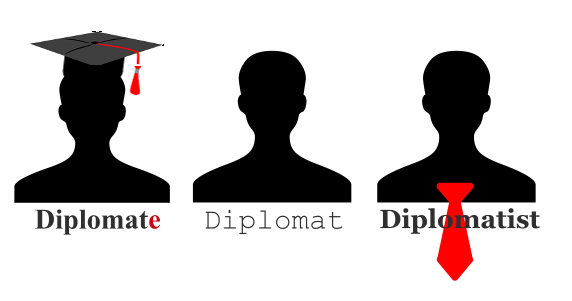 Difference between Diplomat, Diplomatist and Diplomate. A diplomat is either a representative of a government who deals with representatives of foreign governments, negotiates treaties, and the like, or anyone who has the skill in negotiation, good manners, and tack typical of the best of such public representatives. A diplomatist is anyone skilled in diplomacy. A diplomate is a physician who has been certified as a specialist by that specialty's board; he or she then holds the diploma for that specialty. These two words not only share the same look but share almost the same pronunciation also. Thus, their same looks confuse many of us. But, we have a trick. The only difference in the words is the existing of "e". With the help of this "e", we get the right word with the right meaning. As we know diplomate is a person who has a diploma. A diploma is a type of degree. Now we have a new word here, i.e, degree. The word degree has "e" and the word diplomate also has an "e". In this way we can easily learn that a diplomate is someone who has a degree of diploma, as both of the words letter and degree have the same letter "e". Diplomate is a holder of degree, i.e, diploma. Diplomat is very clever people, who know how to deal with any situation. And a specialist in diplomacy is Diplomatist.